Oh the weather outside is frightful (and our feet hurt, our brains are full, energy is low and shopping lists still unchecked)..but inside that fireside looks so delightful! We interrupt your busy life with a strong reminder that ’tis the season to get stressed, and Evy’s Tree wants to make it easier for you to relax! Imagine coming home, kicking off your shoes, wiping off your makeup and removing your jewelry, and settling down with a cup of something warm as you put your feet up and enjoy a movie or good book. 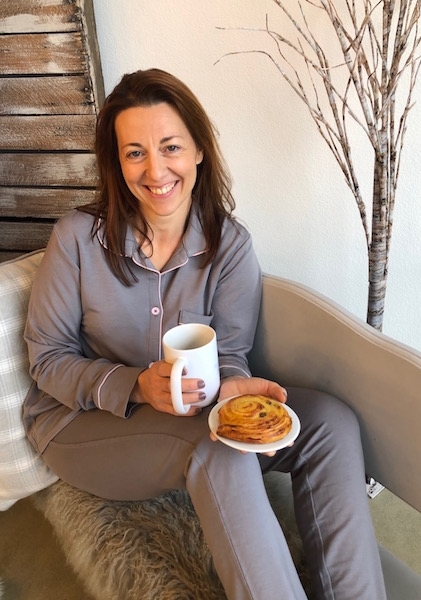 Let the tension drain from your neck and shoulders and you wear these amazing loungers…the Evy’s Tree Loungers are the only pajamas you need, and they’re made to lounge and live in them all day long! Or, for the entire weekend if you can…we admit to doing this occasionally! 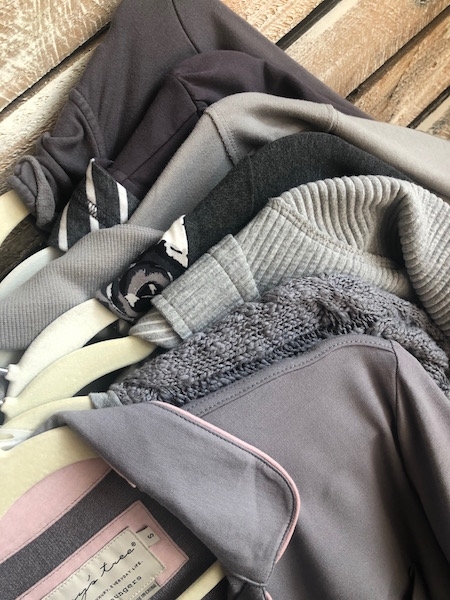 This two-piece lounger set is made from an indescribably super soft & luxurious modal blend knit fabric that is left unbrushed for year-round comfort, with an adorable ditsy trim piping that adds a subtle pop of color to the ensemble. 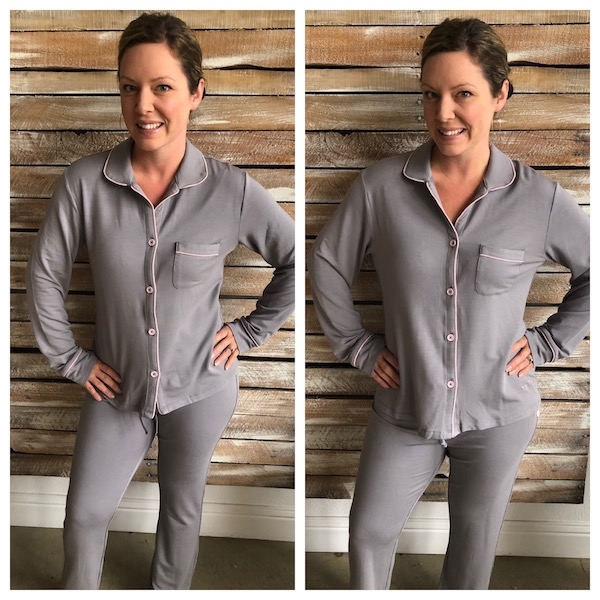 The tie front on the pants makes for an adjustable fit, while the top has buttons for the classic front-closure pj look. We know you will love living in these buttery soft loungers. These went lightening fast when they appeared in Navy last year, so don’t wait too long to grab yours! These loungers are true to size.